BELIZE CITY–September in Belize is a time when the nation focuses on its national identity, so a question recently arose in my mind over the invisibility of the Maya heritage during this festive time of the year. Before Belize had a colonial history, it had a Maya history, so why should the celebration of nationhood not strongly reflect this dimension of Belize’s heritage? Is it only popular to talk about Mundo Maya when selling the Belize tourism product? Should not celebrations of Belize’s national identity reach way back in the annals of time to the era when the inhabitants of this land were truly independent of any colonial control? In fact, given all that plays out on the international political front, some would even argue that those pre-colonial times were truly the days of independence. 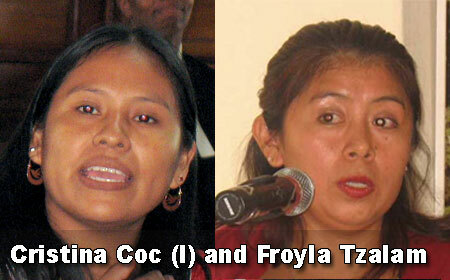 Toledo Maya activists Cristina Coc and Froyla Tzalam agree that the national celebrations do not adequately reflect Belize’s cultural and historical landscape. They say that partisan politics figures heavily in the national celebrations. Indeed, the national colors are red, white and blue; but the party color of the ruling United Democratic Party is red, while the party color of the Opposition People’s United Party is blue, and some do dress the political part. Tzalam is of the view that while the celebrations demonstrate patriotism to a certain extent, they are also very political; and those who are PUP tend to wear blue while those who are UDP tend to dress in red. “It is very difficult to say celebrate. It would be almost hypocritical to do that. We know the reality. We don’t feel the freedom and joy that Independence would bring,” said Coc. She pointed to her personal philosophy, that the truth for many Mayan people is that while the State of Belize proclaims Independence, in her humble opinion, the autonomy, food security and livelihood of the Maya are today threatened and they continue to be treated as second-class citizens. “In court, we were told that we are not even Belizeans,” said Coc, recalling arguments made by the Government of Belize in the Maya land rights case when it was heard in the Supreme Court of Belize. The two major milestones observed in Belize during September are the Battle of St. George’s Caye of September 10, 1798, and the country’s political independence from Britain on September 21, 1981. Tzalam, who hails from San Antonio, one of the larger villages in Toledo, said that for Independence, they usually do the picking of the queen, a local popularity contest. The queen dresses in white for the military parade and flag ceremony – festivities which she said are financed by the local village council. However, she notes that these celebrations were transferred from September 10th to September 21st after Independence. 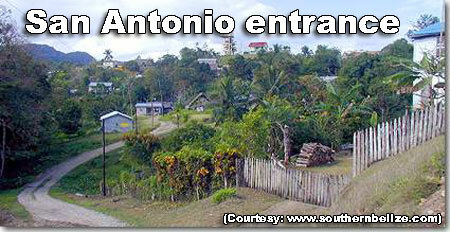 Coc said that when she visited Laguna, her home village, last Wednesday, on September 10, it was business as usual. Maya men went to the farm and did their usual routine. There were no festivities to mark the national celebrations. She said that unless a politician, such as the area representative, sponsors village events, none are held; but the participation really has little to do with a sense of nationalism and more to do with the fact that people opt to enjoy the party the politicians throw. Village students who attend high school have a chance to participate in the more somber Independence Day parade. Coc said that in Punta Gorda, Toledo, the town council is PUP and so there is very little money given to them. In fact, she said that this year’s celebrations are marred by a major garbage disposal problem in the town. She said that her garbage has been sitting there for 5 weeks and has not been picked up. Some have opted to burn their trash, she added. Tzalam confirmed that garbage disposal issues have been persistent, but she told us that where she lives, the trucks have been cleaning up since yesterday. Tzalam is boarding with a family member in Punta Gorda, and she said that she has not seen the Maya inclusion in these celebrations. She points to the fact that Carnival, an imported event, has now taken center stage in the September celebrations, even overshadowing the 21st of September, Independence Day, in her view. Tzalam said that while some villages will have a replication of what happens annually in Belmopan for Independence Day, it won’t have a culturally distinct flavor, reflecting the Maya contribution to the nation’s genesis. After the festivities, they usually congregate at the community center for refreshments, marimba and harp music, and dancing.